Ok Ravelrygirls, I promised! Here it is, my "eeehh... OSbag for my OSprojects...ehhh..." -pattern. 30 cm X 30 cm in my choice of yarn (Marks & Kattens Avanti) and with hook 4 mm. 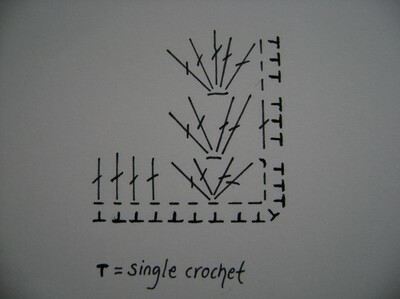 1st row (RS): Chain 3 (= 1 dc). *Skip 2 ch, 2 dc into next ch, 1 ch, 2 dc back into same ch as the last 2dc, skip 2 ch, 4 single dc in next 4 ch* End with 1 dc. Turn. Repeat 2nd row until you are pleased with the length. I crochet my row 2; 24 times. 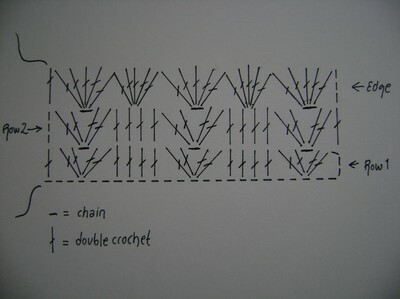 Edgerow: Chain 3 (= 1 dc). *5 dc into ch sp, 5 dc between dc 2 and 3*. End with 1 dc. "Sew" the pieces together with sc. I sc 3 in every space at the sides. (1 extra sc in the corner) and in every sc at the bottom. 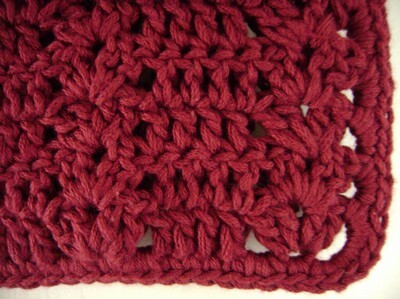 Handles is done in single crochet. Wow a very pretty bag!!! 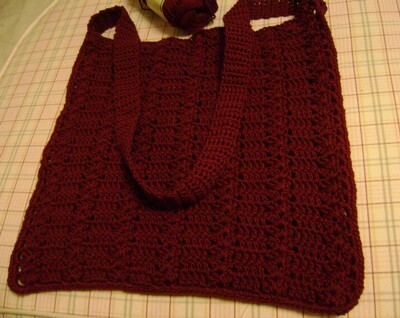 <3 Thank you for sharing the pattern for it, I have queued it on ravelry!